Late last year, Italian developers MixedBag Games confirmed their long-in-production Metroidvania Forma.8 was finished and would be releasing some point this February. Well now, thankfully, the studio have elaborated on that and refined the date, for both PS4 & Vita versions, to February 23. What’s more, the studio has announced that it will be teaming up with Limited Run Games in releasing a physical retail edition later down the line for PS4 & Vita — a release date for the physical versions has yet to be confirmed. The box art for each can be viewed below. “It’s the first game we started working on when MixedBag was only a two person team…” Mauro Fanelli, CEO of MixedBag stated, “…it was our dream project from the get go: a huge 2D action adventure full of clever gameplay ideas and presented in a striking visual style…Needless to say, development took a lot more time than we anticipated. We announced the game in 2013, aiming to launch in 2014. It’s now 2017, so go figure.” Players on either of Sony’s platforms will be able to use the cross-buy feature for the game. We reached out to MixedBag regarding the release date on other platforms — and whether this will be the same, notably for the Wii U — and the developer has confirmed the release date applies to all platforms. 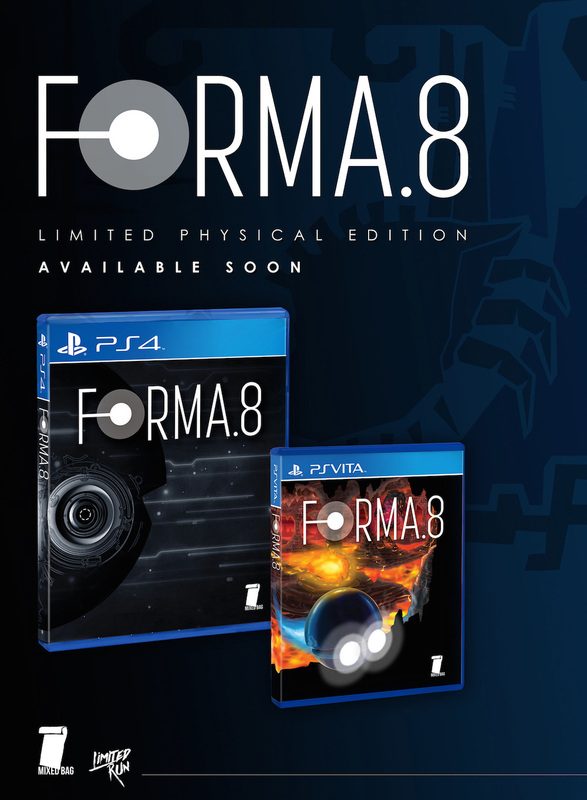 Forma.8 will also be available on Xbox One & PC.